The easiest way to peel ginger is with a spoon. Simply use the edge of the spoon to scrape off the peel. It’s like magic! 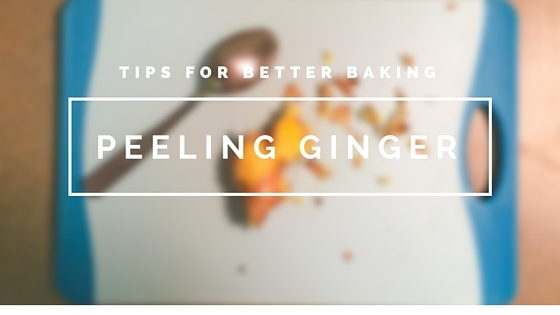 Check out the complete index of Tips for Better Baking or subscribe to my mailing list to receive a baking tip in your inbox every week. Invest in a fine-mesh strainer. It is the best tool for sifting but can be used for many other kitchen tasks as well. As a general rule, I sift ingredients 3 times to ensure the ingredients are evenly mixed and perfectly smooth. Sift onto a piece of parchment paper. The parchment paper can be used to easily transfer the ingredients back and forth between the bowl and the strainer when sifting multiple times. When you’re ready to incorporate the sifted ingredients into the recipe, just pick up the piece of parchment paper and slide the ingredients into the mixing bowl in one easy motion. 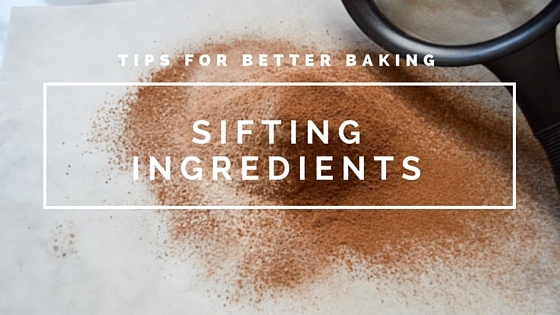 If a recipe calls for something to be sifted, do so. I don’t sift flour unless the recipe calls for it or if I notice some lumps. I always sift cocoa powder. When baking with chocolate, opt for chocolate sold in bars instead of chocolate chips. Bar chocolate is a higher quality and will produce a better result in your final baked goods. Chocolate chips often contain fats other than cocoa butter and tend to be sweeter, waxier, and have a less intense flavor. Since they are made to hold their shape, chocolate chips are difficult to melt and bar chocolate will provide a smoother result. For the best results, simply buy bars of chocolate and use a knife to chop them into pieces the size needed for your recipe. What is the difference between regular butter and European-style butter? European-style butter has a higher butter fat content than regular butter (labeled as ‘sweet cream butter’ in the grocery store). This means there is less water in the butter and more butter fat and milk solids. With European-style butters, the butter fat content is around 83-86% while traditional butter is around 80%. Why is European-style butter better for baking? Water creates tough pastry so it makes sense to use a butter than contains less water. With European-style butter, you’ll notice a more tender, flaky pastry. Additionally, water is what causes pie crust to shrink when baking, so you will notice less shrinkage when using a higher quality butter. 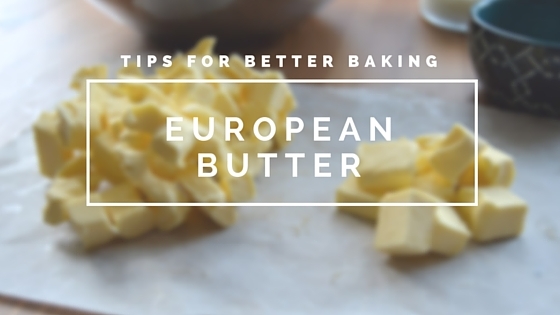 European-butter also has a luscious texture and full, creamy taste that adds another layer of flavor to baked goods. I also enjoy the rich yellow color of European-style butter. Do I need to use European-style butter in all of my baking? European-style butter is more expensive than ordinary butter so you don’t need to use it in everything. If you’re making pie dough, laminated doughs, pastries, caramel candies, or something where butter a main flavor, then consider using European-style butter. When ever I am baking something special or want the best possible result, I spring for the European-style butter. Where do I find European-style butter? Most grocery stores carry at least one brand of European-style butter. My favorite brands include Plugra, Kerrygold, and Land O’Lakes European Style Butter.